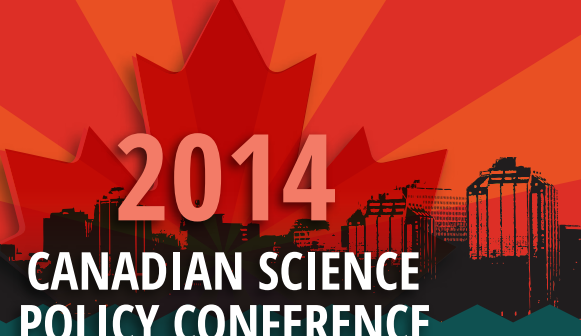 In October 2014, the Ocean Tracking Network (OTN) was selected to host a panel session at the Canadian Science Policy Conference, which brought together people from academia, government, and industry to discuss innovation in Canada. The idea behind this panel session was the growing need to understand the big problems and complex issues arising from the pressures placed on our oceans by human activities. Nations are realizing the benefit of utilizing multi-disciplinary networks to provide this knowledge. This panel brought together three Atlantic-based research networks to describe the problems each network addresses, and to consider the challenges and benefits of each network, the strategies they employ to deal with big data, and how they feed their results into policy. Participating in the panel were Dr. Tony Charles from the Community Conservation Research Network (CCRN), Dr. Ronald Pelot from the Marine Environmental Observation Prediction and Response Network (MEOPAR), Dr. Fred Whoriskey from the Ocean Tracking Network (OTN), and Dr. Sara Iverson (OTN) as moderator. The major theme that came out of this panel discussion was that big problems require big data to solve them, and big data can present challenges. Not only is big data an issue of volume, but it is also coming from all over, and you need to be able to filter out the data required to solve a particular problem. In order to get a handle on big data we need better ways to collect, increase our capacity to manage, and analyze the data to tease out knowledge. Networks are the way to go to resolve big data issues and fill in knowledge gaps by offering a platform for data collection, management, analysis, and dissemination. Networks can foster communication, coordination and collaboration (via meetings, annual reports, symposia, conferences, etc. ), perhaps removing duplication in research. The challenge of networks can come from within in terms of their ability to do interdisciplinary work. However, networks can also resolve this, as they tend to be interdisciplinary in nature. Networks meet integrative challenges and build capacity by taking an interdisciplinary approach to research, training highly qualified people (HQP), and engaging with other sectors (i.e., universities with government, government with industry, etc.). In addition, discussions with larger bodies must take place on how small groups and networks fit into the bigger global picture, something that each of the respective networks is already doing.. While individual networks are big, it is important to be aware that there is an even bigger picture beyond that. For example, it is important that networks in Canada are cognizant of other networks around the world. This is so that problem solving within any one network can be connected to that of other networks, thus enabling fully global work. There is a whole range of issues with the data sharing and management process. Some examples that came up included issues of confidentiality, data theft, ownership, access, and connecting scientific knowledge with indigenous knowledge. Each of these particular networks are dealing with these issues by going through research ethics processes (CCRN), establishing a community of practice for ocean data management in Canada and placing suitable access controls (i.e., legal agreements) on certain types of third-party data (MEOPAR), and having a proper data policy or management plan (OTN). It is also necessary to work to overcome issues of data incompatibility for improved data integration, and how we can we make networks more integrative such that data can be linked nationally and internationally. It was mentioned that another conduit for sharing is to collaborate with other networks, organizations or companies on data management or visualization tools, as well as having metadata more readily available (allows people to individually contact each other). Finally, research networks have to deal with funding challenges, and thus the sustainability of the network. It was mentioned that multiple funding sources help address this issue. The “take home” message seemed to be that we need national and international collaboration to find solutions to widespread global issues. Networks address this issue because they encourage multidisciplinary research and data sharing, and proper data management can provide direction on dealing with big data issues. 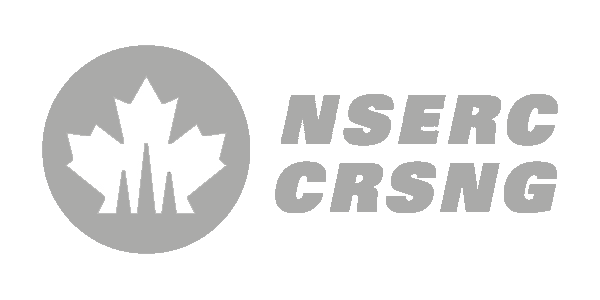 CCRN is a global network that spans 16 different sites across Canada and worldwide, connecting to various global partnerships. The network is compiling data on what local communities are doing to address environmental issues, and how to connect these community-level challenges and environmental initiatives with top-level government policy. There are four components to this research network: knowledge, policy links, capacity building, and developing partnerships. A network is the way to go to address this issue because this is a global initiative that looks at how community issues scale up to national and global systems. As humans are interacting with their environment, at multiple scales, this is creating a big system that interacts in complex ways, and big systems require integrated responses. The project involves the collection of data across Canada, and globally, with the purpose of compiling and analysing what communities are doing to address environmental issues, and how governments are involved in that. CCRN offers an example of how big data can work via their creation of the iMApp initiative. Through “crowd sourcing” and direct contacts, people are encouraged to provide information about their community and its local environment to CCRN, literally by putting the community “on the map” – as a point on the map with associated information. There is potential for thousands of dots to be placed on the map to be used as research material. Some data issues that CCRN deals with include issues about access, confidentiality, and anonymity. To deal with this, each person providing his or her information has to sign off on an agreement. CCRN will use the iMApp data in different ways such that some information is made totally public, while some is behind the scenes data that only researchers will use. It is important to make clear to the individual how each piece of their information will be used. With regard to policy development, CCRN is trying to develop best practices for combining effective conservation initiatives at a local level with government policy that can support livelihoods and economic growth at the community level. Due to a rapidly changing ocean (i.e., sea level rise, ocean acidification) and the ways in which it is used (i.e., aquaculture, moving into the Arctic, offshore development) there is a growing need for risk analysis and management of the various types of ocean hazards. Consequently, MEOPAR is looking at how to capture and quantify these changes. They currently employ 28 research projects carried out by 52 researchers from 13 universities and four federal departments, which is how they interact with policy. MEOPAR is a broad network that covers a wide variety of ocean topics (biological, oceanographic, physical, and chemical aspects), both over the short and long term. The idea of being a broad network means that it requires a variety of expertise, and therefore brings together a core of researchers spread out amongst different projects that require collaboration. The purpose of this network is to generate knowledge for an informed society, build capacity, foster collaboration among sectors, and train people (HQP). With respect to big data, one benefit of the network approach is to determine the most effective use of various types of interfaces. MEOPAR has the capacity to make data available by making it sharable, user friendly, and compatible so that it can be viewed through their portal by other researchers to be used to answer the questions they need answered. This helps to improve collaboration to build better tools that can help in decision-making processes. The end goal of MEOPAR is to improve ocean management in Canada and increase our nation’s research capacity (understanding oceans better, more ocean and coastal policies), but also to be competitive such that Canada does better on the world stage so we can help solve other regions’ problems (i.e., problem solving at the local level to build the capacity to do global work). 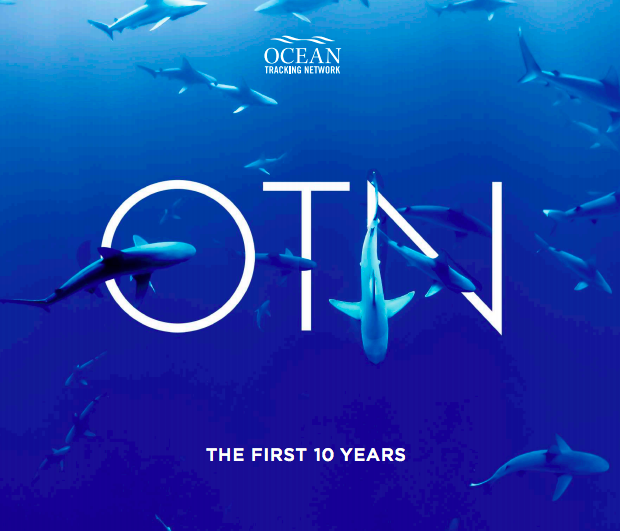 Using Canadian acoustic technology, OTN tracks the movements and survival of marine animals and correlates this information with conditions in the ocean. The utility of this is an ability to predict animal movements with an ever-changing ocean. OTN consists of 400 investigators and 150 HQP from 16 countries. The benefits of the information provided by OTN are both direct (commercially important species), and indirect (recreational value). Using this type of acoustic telemetry technology, OTN can assist in generating fishery independent mortality estimates, Marine Protected Area design, trans-boundary fishery management, sustainable ocean development, ecosystem-based management, and predicting future distributions of species. The network approach is certainly the way to go for OTN because of its potential to build a global ocean observing system. Canada does not have the capacity to do this type of global analysis on its own. Globally, people are already using acoustic telemetry equipment and OTN can bring them together for data sharing, which enables data collected at the local level to be used to build the capacity to do global work. For example, the quantification of species movements is emerging from data sharing. Another advantage of the network approach is that there are multiple funding sources that contribute to network sustainability. This is one of the challenges that OTN, along with many other research networks, faces due to finite grant funding. Additionally, there are challenges in maintaining network relationships due to time constraints and dealing with unforeseen issues (research administration). Large volumes of data are generated as a result of bringing together telemetry data from around the world. OTN deals with big data issues through their in-house, quality-controlled global database. Over half of their resources have been devoted to a data team that manages this database. There have been issues with data theft in the past (publishing data belonging to other researchers), which has negatively impacted the motivation for people to share their data. This issue is being overcome through the implementation of common standards and practices. In addition, there has been a large embracing by the community of data sharing when they realize that their data can be set in a larger context (i.e., realizing the extent of Bluefin tuna movements). With regards to policy, this is an issue OTN needs to address. 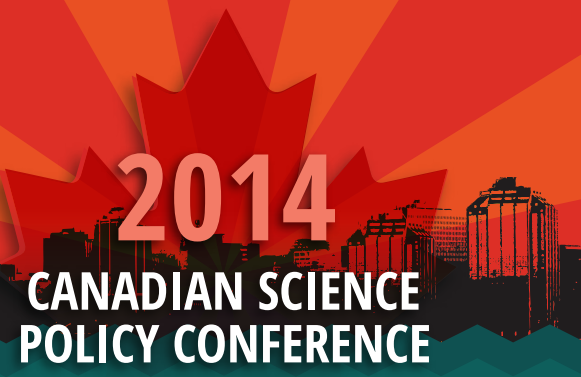 Currently the policymakers are left to take knowledge generated and put it into policy. This is not working very well. Another problem is resistance to the technology by managers because some of the results generated by OTN are unpopular and managers do not want to deal with conflicts involving stakeholder consultation (i.e., stopping a fishery). The network is working on better ways to take their research results and feed them into policy development.